Getting married is a HUGE step. A huge AND scary step! Not only are you now responsible for taking care of yourself but you’re also responsible for helping to take care of your spouse. I’m not sure about you, but I hate being financially responsible for someone else. 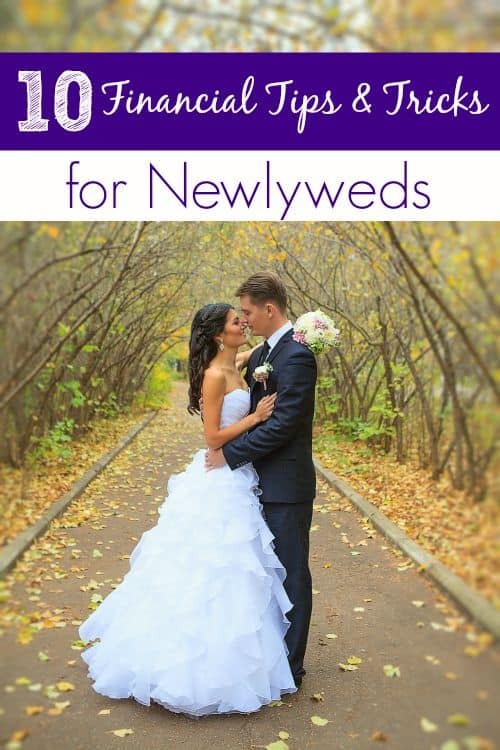 Unfortunately, too many newlyweds fail to realize that their finances are now their spouses finances as well. In fact? One of the leading causes of divorce in the first 2 years of marriage is money trouble. Betcha didn’t know that one did ya? These 10 Financial Tips & Tricks for Newlyweds can help ease those fights, worries and generally make the first years of your marriage easier. The biggest thing to remember when you’re starting your new life together is that marriage really is a partnership. What you do will affect your spouse and what your spouse does will affect you. If you can keep those things in mind right from the very beginning, your marriage will be getting its start with a strong foothold. Prepare yourself by knowing how your future spouse handles his or her own finances. If you have a good picture of what your fiance’s own fiances look like, there shouldn’t be too many surprises once you’ve actually tied the knot. If their personal budget is non-existent, chances are it will be after you’re married. If they’ve managed to save thousands, that will most likely continue after the ceremony. 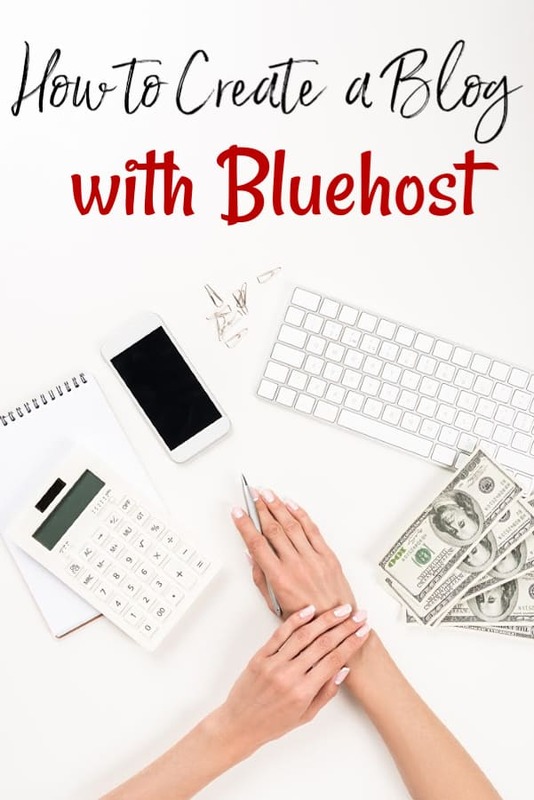 This will give you the chance to determine if maybe one person should manage the budget (for instance when a free spender marries a frugalista) or if managing it together is your best course of action. Before the ceremony, be clear about debts. Be clear with your fiance about debts that you both owe. This will prevent any surprises in the future and unexpected expenses. If your credit score(s) are low, try to raise them before the wedding. Scores of 750 or better will help you get a better rate on your first mortgage and will generally make things easier. If you can’t afford a big ceremony, don’t try it. Flying to Paris may be your dream honeymoon, but if Vegas is more budget friendly for you, then do Vegas. There is nothing saying that you can’t have a vow renewal ceremony a few years down the road or go on that Paris vacation to celebrate a milestone anniversary. If you do spend more than you can afford, you will regret it since you’ll likely be paying for it years after the ceremony takes place. How to Have Your Dream Wedding for Under $1500 is a great place to start if you’re new to wedding planning and having trouble staying close to what you can afford. Don’t start your new life together relying on credit to get your through. Live within your means and try to use cash for everything. If you’re relying on credit, you’re providing a life that you can’t afford…and one that you will pay for years after you plan to. Before the wedding, sit down with your future spouse and create a monthly budget. Take into account both of your incomes, if one person will stay at home, any utilities and any monthly expenses that you’ll have together after your wedding. Don’t forget those debt payments too and be sure to leave some room for spending money as well. Doing all of this before you’re actually married will save you the headache of doing it after. I know, some of you are going to ream me for this but just hear me out. In a situation where one person’s sole income goes into a sole checking account, it prevents 2 things. The spouse can not access the money so in an emergency situation, they can’t get funds to help. What if your spouse is on a business trip and you need cash for a flat tire? With a sole account, you can’t get the money to fix that tire until you get in contact with your spouse and have them send it to you. The other reason for a joint bank account is that this prevents one spouse from overspending behind the other’s back. If you are both involved in the banking, there are no surprise splurges, no habits and no issues that the other doesn’t know about. This will prevent your new family from going broke but having no idea as to why it happened. If having a joint account just isn’t possible, be sure to share the account information with your spouse. As soon as possible, be sure to set aside money for an emergency fund and then don’t touch it. Ideally, your emergency fund should contain enough money to cover 3-6 months of expenses but if you can’t do that comfortably, $1,000 is a good start. If you’ve got the emergency fund set up, you will be prepared to cover anything unexpected that may cause stress in your newly married life. Your local bank is a good place to start but if you don’t have a local bank, check out Capital One 360’s savings account. It has a good APR and no minimum balance so it’s great for a starter account. As soon as you’re married (if not before,) start an IRA with your local bank or 401k plan at your jobs. Planning now for retirement 30 years down the road will ensure that you can actually retire with the life that you want. If you’re not sure where to start, talking with your local banker or an investment counselor is a great place to start. They should be able to guide you in the direction you need to be. I know, I already touched on this a tiny bit, but I just can’t stress it enough. Living above your means will only cause stress, problems and may just end differently than you planned for your life together to end. Living within your means, no matter how large or small, ensures that you will 1. have everything that you need as a couple and 2. don’t accrue debt, monthly expenses or other issues that you can’t handle. This may seem like a no-brainer but for some, it’s really not. Talk about your finances. Talk about your dreams. Talk about your fears. If you aren’t talking, you’re not working together and this…of all things…could be the downfall of your marriage. By talking to each other about the things that matter, you’re letting one another in and you’re setting up a relationship that will last a lifetime.